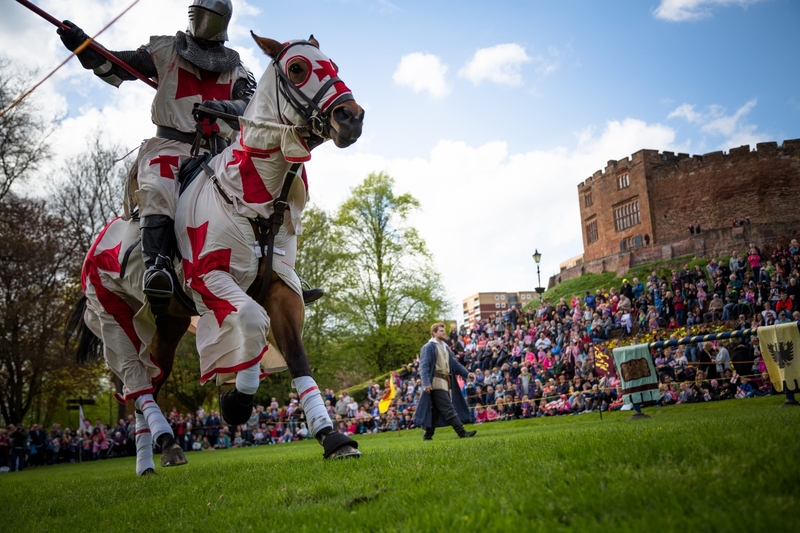 St George's Day celebrations in the historic Staffordshire market town of Tamworth promise to be a 'roar'-ing success following the announcement of this year's anticipated event. For the Tamworth St George's Day festival, which takes place in the ancient Saxon capital of Mercia on Saturday 23 April, comes complete with its very own dragon. The St George's Day festival will comprise a day of medieval-themed fun for the whole family - with the event set within the grounds of Tamworth's very own ancient Norman castle. And to make the festival even better, this year's extravaganza will take over the Castle Grounds on St George's Day itself - April 23. 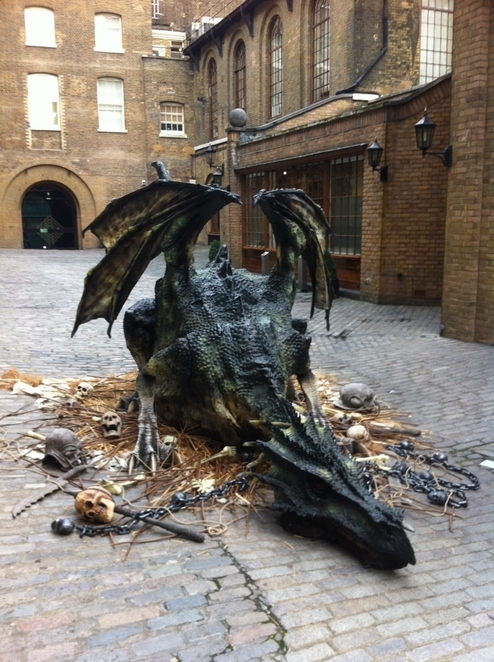 The star of the show is expected to be one of the new additions to the St George's Day celebration, namely a realistic six-foot moving, roaring dragon made by a company which has also worked on the highly successful Game of Thrones television series. But the fun will not stop there as medieval England comes to life for the day with the help of knights, a living history camp and jousts on horseback. The free annual festival is one of the highlights of Tamworth 's impressive calendar of outdoor events and is expected to draw thousands of visitors from across the country. Tamworth Borough Council's Arts & Events team is pulling out all the stops to make this year's event the biggest and best to date. As well as the moving, roaring dragon, there will also be a new community stalls area and a new dedicated Children's Medieval Zone packed with games and activities aimed specifically at the event's younger visitors. The Children's Zone will feature face painting, stocks, ferret racing, magical dress-up, circus skills, storytelling, walkabout characters, pottery making, stilt walkers,bouncy castles and medieval lawn games. Admission to the Children's Zone is priced at £3 per child (adults get in free) and youngsters can come and go as they please throughout the day. Entertainment and activities for the whole family continue outside the Children's Zone with a living history encampment, walkabout characters, a jester, fire knights,demonstrations and workshops, have-a-go archery and a St George's Day parade of Tamworth scouts. The Grand Medieval Joust is back by popular demand with visitors able to watch the action unfold as knights on horseback take to the main arena to show off their jousting skills. Throughout the day knights will also demonstrate the variety of weapons and combat methods used during the period in medieval skirmishes. This year's St George's Day festival will also have an extra special element with the official unveiling of six hand-carved flagstones which are being installed along the new-look Ladybridge to celebrate Tamworth's Saxon history. The stones, which have been hand-carved by artist Luke Perry using mallet and chisel in the traditional Saxon style, celebrate six of the most notable events in Tamworth's history. 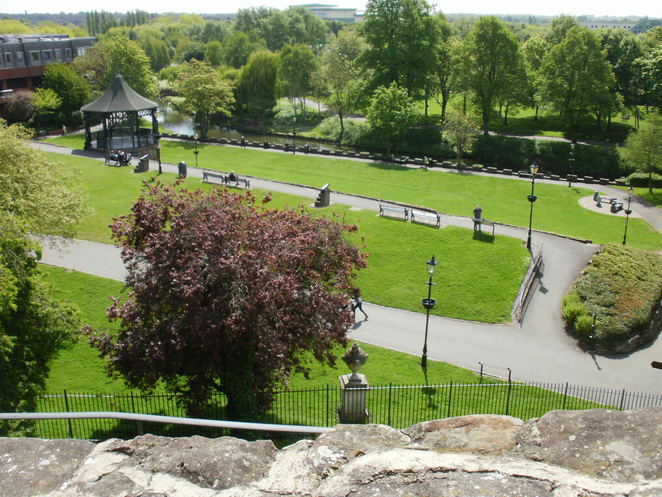 They are the establishment of the ancient Kingdom of Mercia with Tamworth as its capital, the burying of the Staffordshire Hoard, King Offa building his Royal Palace, Tamworth attacked by Vikings,the capture and refortification of Tamworth by Queen Aethelflaed and the building of Tamworth Castle in 1080 following the Norman Conquest of 1066. Andrew Barratt, Tamworth Borough Council's Director of Assets & Environment, said: "The nationally-renowned St George's Day festival is one of the most popular events on our calendar and this year it promises to be even bigger with several exciting new additions. We are expecting the animatronic dragon to be a great crowd pleaser and the fantastic new Children's Zone is likely to keep youngsters busy for hours. 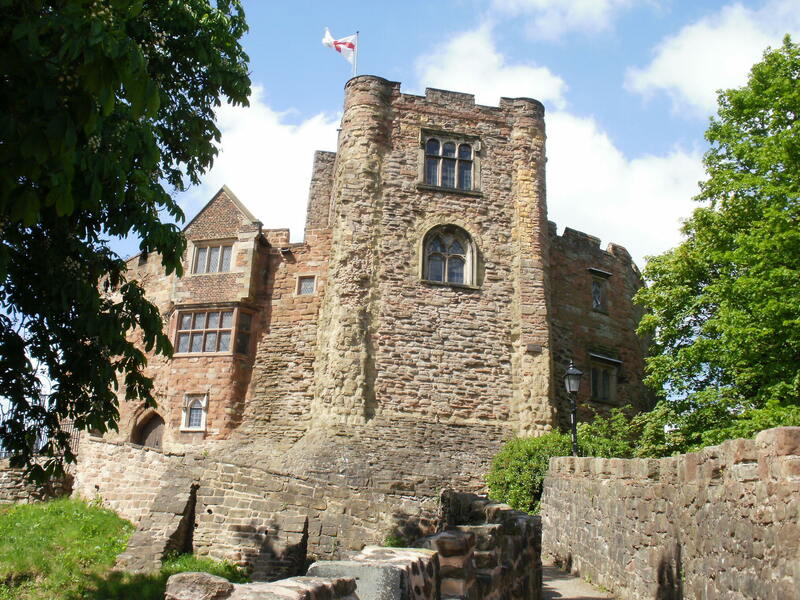 It is also very fitting that we are able to unveil the Saxon timeline on Ladybridge as part of our celebrations to mark St George's Day and I hope to see many families in the Castle Grounds taking part and joining the fun."